Monumental Cupcakes reports it's been sold and its South Street storefront will be turned into something else. To its credit, the place survived long past Peak Cupcake and outlast most other Boston-area places with "Cupcakes" in their names - although unlike many of those other places, it also offered baked goods besides cupcakes. Henry's Market, 892 South St. in Roslindale, was held up around 9:30 p.m. by a man who showed a gun, took cash, then ran up South Street towards the parkway. Read more. Victim identified as Felix Paulino, 25, of Mattapan. Boston Police report a man, believed to be in his 20s, was shot at the Professional Barber Shop, 140 South St., around 9:50 p.m. 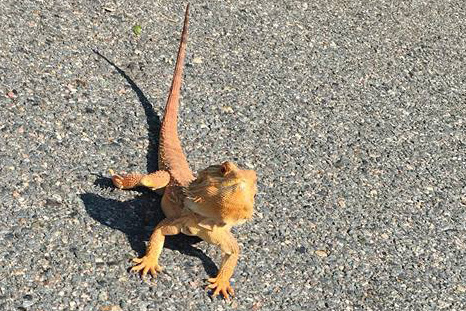 He was taken to a local hospital, where he died. 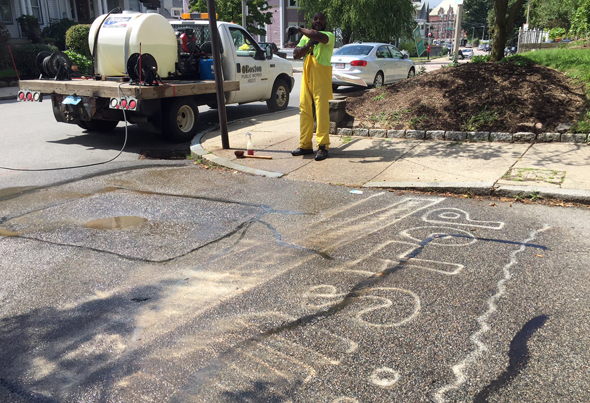 Ted Siefer watched as a city crew power washed away guerilla street markings on Fairview Street at South Street today. Somebody had painted the markings about three weeks ago at the intersection, where some motorists had decided "Stop" was only a suggestion and pedestrians not really worthy of attention. On South Street, near where it turns into Belgrade Avenue. Crews have been stripping the asphalt from the roads of Roslindale Square this week for repaving and restriping. And on South and Corinth Street, they've exposed patches of the old paving stones and trolley tracks that used to support the trains powered by the old substation at Washington Street and Cummins Highway. MassDOT reports crews will shut the intersection of South and New Washington streets in Forest Hills this weekend for work related to the Casey Overpass replacement project. Read more. Henry's Market, 892 South St., was held up around 10:25 p.m. by three masked men, possibly teens, one of whom showed a gun. Read more. Storefronts and house to come down in Roslindale. 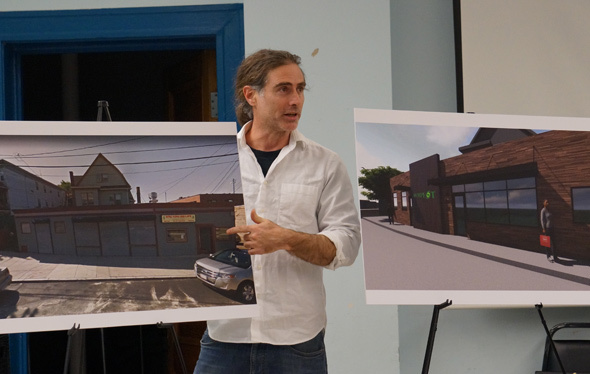 The Board of Appeal today approved plans to replace a four-storefront block and house at 878 South St., across from Green T at Walter Street, with a three-story, nine-unit residential building. Read more. 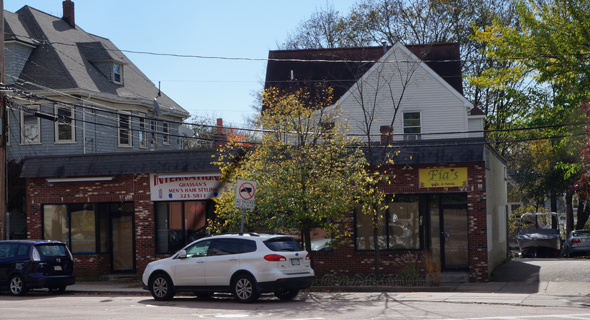 Jamaica Plain News reports a juice bar is going into the part of the old Harvest building on South Street that wasn't taken up by the daycare. WalkUp Roslindale held a standout at Walter and South streets this morning to let drivers know they should ease up on the accelerator now that the default speed limit in Boston is down to 25 m.p.h. As residents from the area around South and Rosemary streets filed into the conference room at Curtis Hall tonight, they were a bit tense: They'd gotten vague notices summoning them to a meeting about a "proposed project" at 162 South St., and these days, along that stretch of South Street, that can only mean one thing: More condos. Read more.